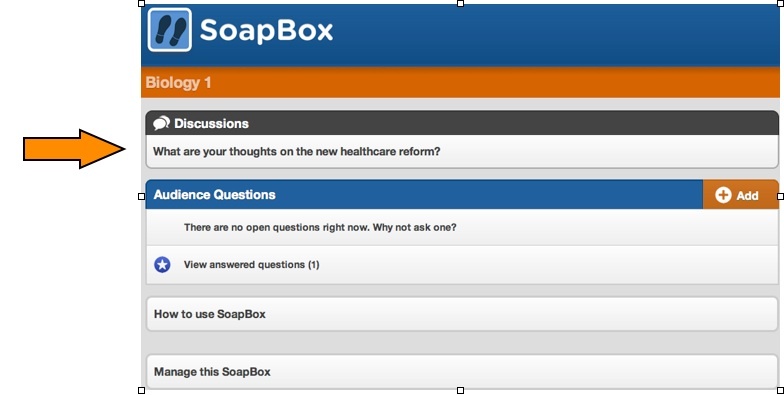 Unlike the “Audience Questions” feature, only teachers, or event managers, can create new Discussions. To create a Discussion simply click the “Add a Discussion” button on the event page. 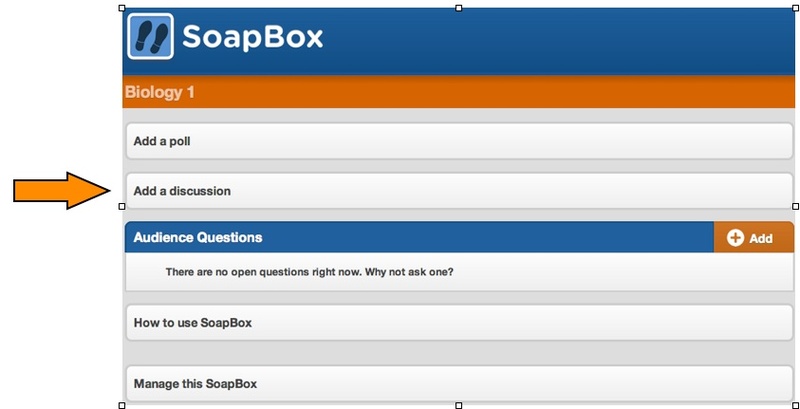 Your students can reply to the Discussion by clicking on it, typing in their response, and clicking “reply”. To view the replies to a Discussion, simply click on the discussion box. The replies will appear below the Discussion topic. If there is ever an inappropriate response, or something that you don’t want to be on the page, you can always delete a response by clicking on the garbage can icon next to it.